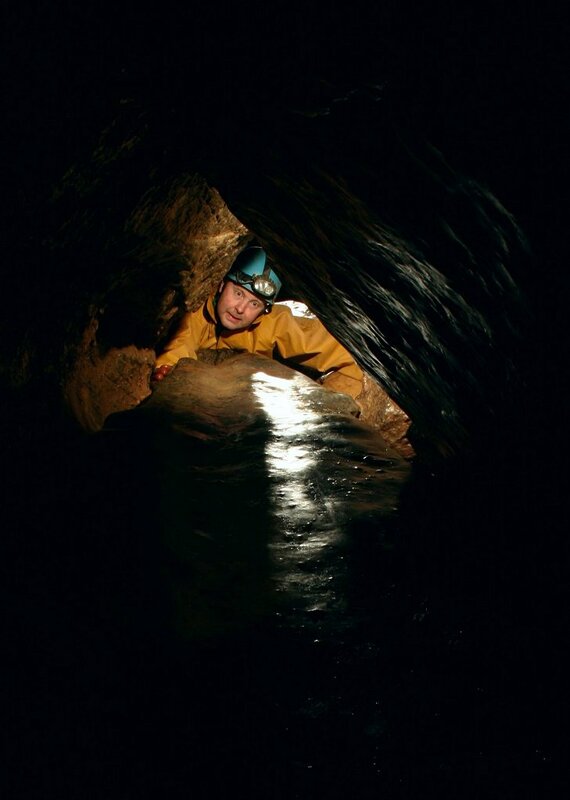 Chris had promised Sarah a novice trip, but when we arrived at Burrington Combe and saw the minibuses labelled with the names of scout groups we decided to abandon the plan to do Goatchurch Cavern and instead made our way to Lionel's Hole. After about 20 minutes of squeezing and grovelling we decided that perhaps Lionel's Hole is not a good place to take novices on their first trip so we made our way out and did Goatchurch instead. 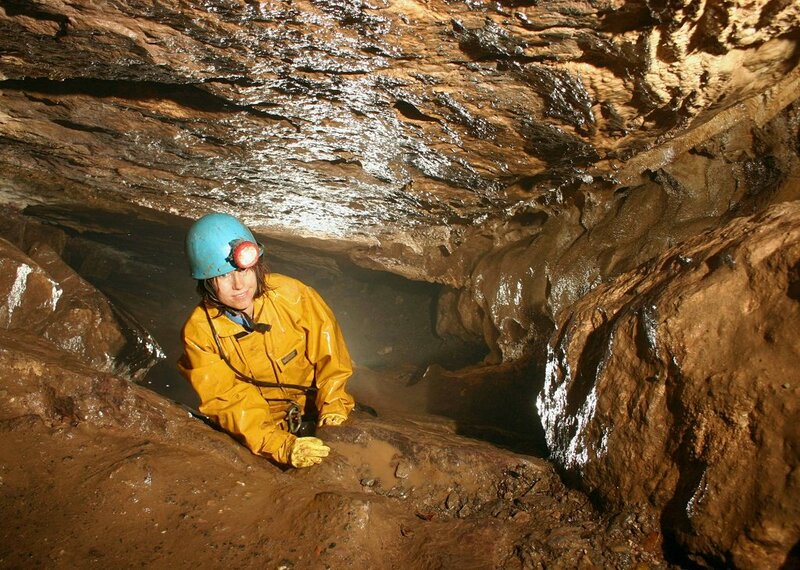 Sarah seemed to enjoy her first experience of caving so we must have done something wrong. Keith at the coffin Lid in Goatchurch Caverns. 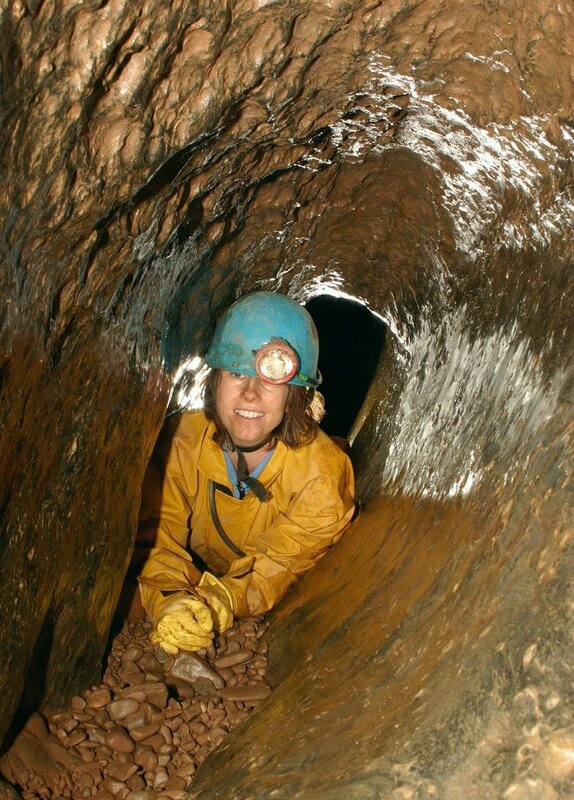 Sarah in the Drainpipe - Goatchurch Caverns.